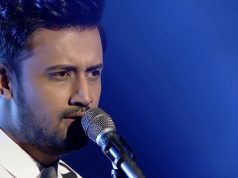 Pakistan’s superstar singer Atif Aslam has been picked as the brand ambassador of another corporate brand, Mobilink Jazz Jazba. 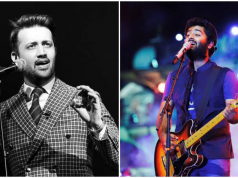 Atif will be launching a brand new song & music video in collaboration with Mobilink Jazz, we have learnt from our sources. Atif Aslam, who has been the brand ambassador of Warid Telecom and Q mobile in the past, has now signed a deal with another brand. 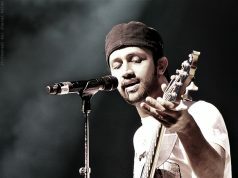 The brand will be sponsoring Atif’s latest new song and music video. The song is expected to release very soon and it will be released on all mediums. We have luckily got our hands on the artwork, that will be used for marketing the brand campaign. 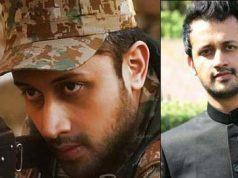 The artwork shows a caricature of Atif Aslam with a tag line as “Jano Gey” which means “You Will come to Know” in English. We are still unsure what will we come to know with this new project, but it somehow seems something BIG. 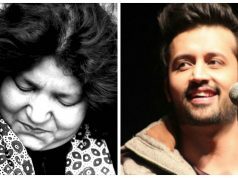 It is worth mentioning that Atif aslam will be launching a brand new single after such a long time. This is going to be real treat for his fans and Aadeez worldwide! Stay tuned to this blog as we will be updating this post, as soon as we get some more clues about the project.